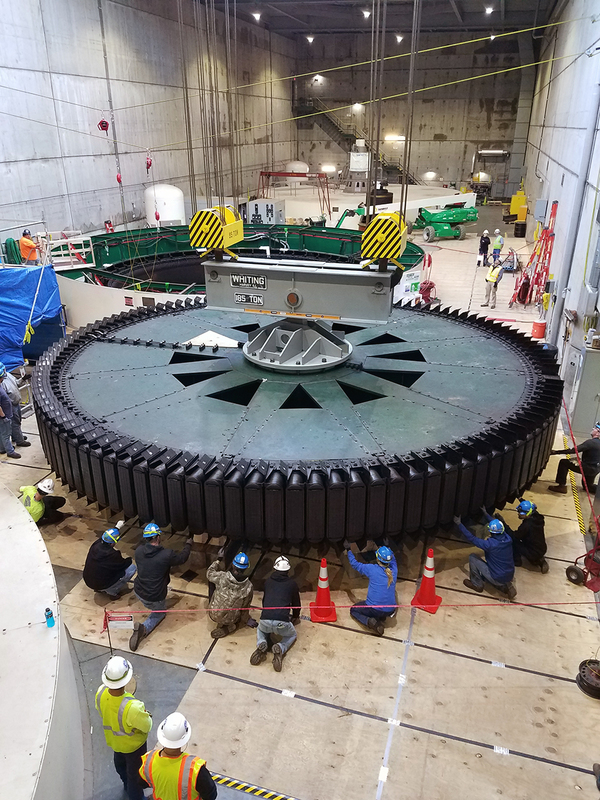 With one foot in Kentucky and another in Indiana, Duke Energy’s Markland Hydro Station produces clean energy from the hardworking Ohio River. Markland Hydro has been providing clean, renewable energy near Florence, Ind., for more than 50 years. And with plans to modernize the station’s three turbines and generators, the 45-megawatt plant’s output will increase by about 10 percent when it’s finished in 2020. 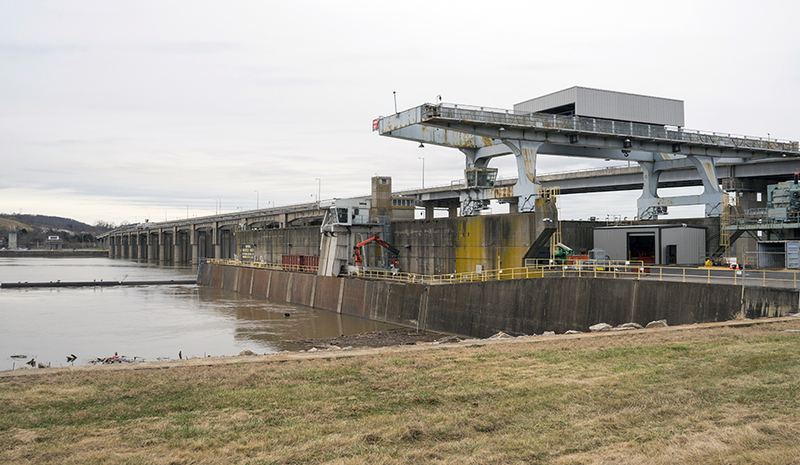 The Markland Locks and Dam, like others on the Ohio River, was built by the U.S. Army Corps of Engineers primarily for navigation to ship coal and other materials by barge. 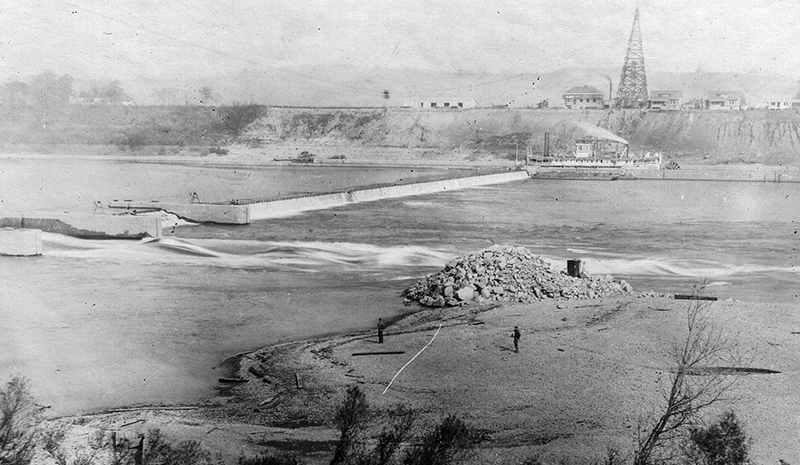 The Corps began creating dikes on the Ohio in the late 1830s. The movement to manage rivers for multiple uses, including navigation, water supply, flood protection, recreation and hydropower, was spearheaded by President Theodore Roosevelt and others in the early 20th century to promote conservation and natural resource planning. Construction of the Markland locks began in 1956 and the dam three years later. Markland was Public Service Company of Indiana’s first hydroelectric facility when it began operating in 1967. Looking south, in 1923. The concrete Markland Locks and Dam span the Ohio River. It’s 1,395 feet long and connects Gallatin County, Ky., and Switzerland County, Ind. 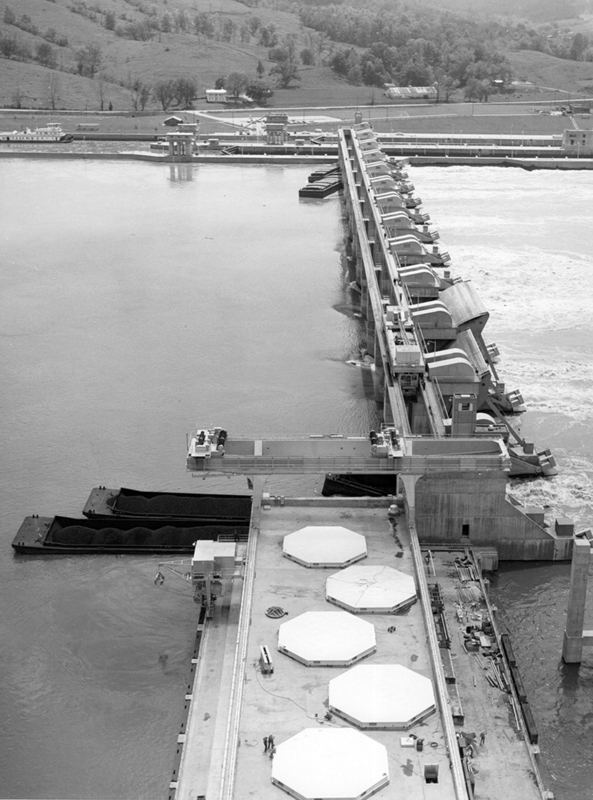 The powerhouse locks and dam, looking south, 1967. Because of its role in the development of hydropower on the Ohio River and the first non-government hydroelectric station on the river, Markland was deemed eligible for the National Register of Historic Places in 2017. The station’s three turbines are located inside a 150-foot high concrete dam. The Army Corps of Engineers controls the flows coming into the locks and dam and the flows available for power generation. 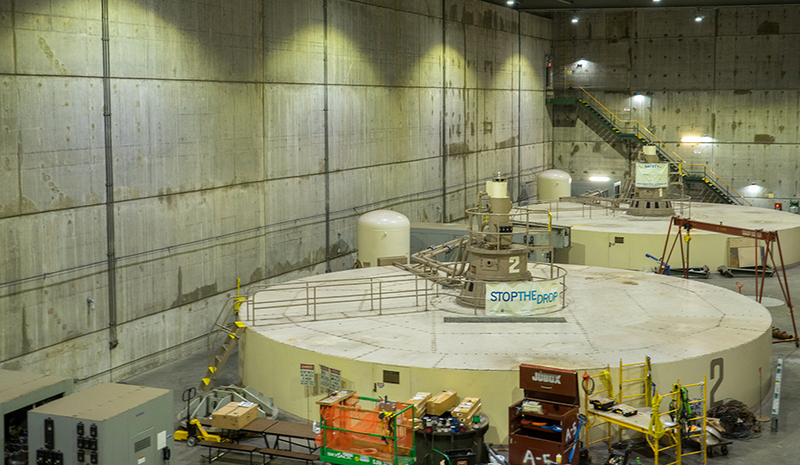 Generating units 2 and 3.The station’s three turbines are located inside a 150-foot high concrete dam. Workers inspect a rotor on generator 2. The plant’s opening was held on June 19, 1967.